Happy Sunday everyone! Last night I had the opportunity to sneak out for a couple hours and attend another fun food event with one of my friends. It’s always good to have a few kid free hours to catch up and taste new things. At the event there was a cocktail class that we sat and watched for a little while. I left so inspired! For years I’ve been intrigued with the art and history of cocktail making and even though I know absolutely nothing about the ‘proper’ way to create a cocktail (maybe someday I will learn more!) I never let that stop me from making some mean drinks! Over the year’s I’ve noticed that I have definitely gone through my phases of my ‘signature’ drinks that my friends always knew I’d have to offer if they came over. It all started with Pina coladas! I then got into strawberry daiquiris, began my exploration with mojitos and fell in love with lemon drops. Recently I’ve been purchasing different flavors of vodka as well as a few other specialty liquors and stocking up on some sodas for the upcoming holidays like any of the #DrinkTEN products ( like the Dr Pepper TEN, Canada Dry TEN, 7UP TEN, and A&W TEN). I don’t drink soda too frequently. When I do love buying the TEN products because they taste delicious and also save me a bunch of calories. Plus it’s nice because non-alcohol drinkers, kids, and guests watching their sugar or calories can also drink up! You can mix the soda with just some liquor on the rocks, or you can set out some juices and cocktail shakers and really get a bit more creative! The other night we actually had a family night in and watched our first Christmas movie of the year (!) and I made some orange and A&W TEN floats for the kids with vanilla bean ice cream, and then made an orange cream cocktail for Wayne and me. And here’s how I created it. Fill cocktail shaker halfway with ice. Add vodka, triple sec, orange juice, and cream and shake until thoroughly mixed. Pour into glass and then top with Sunkist TEN Soda and create a simple design on top if serving to guests – but it’s just for looks, so if you’re just serving for your self – it’s totally not necessary. 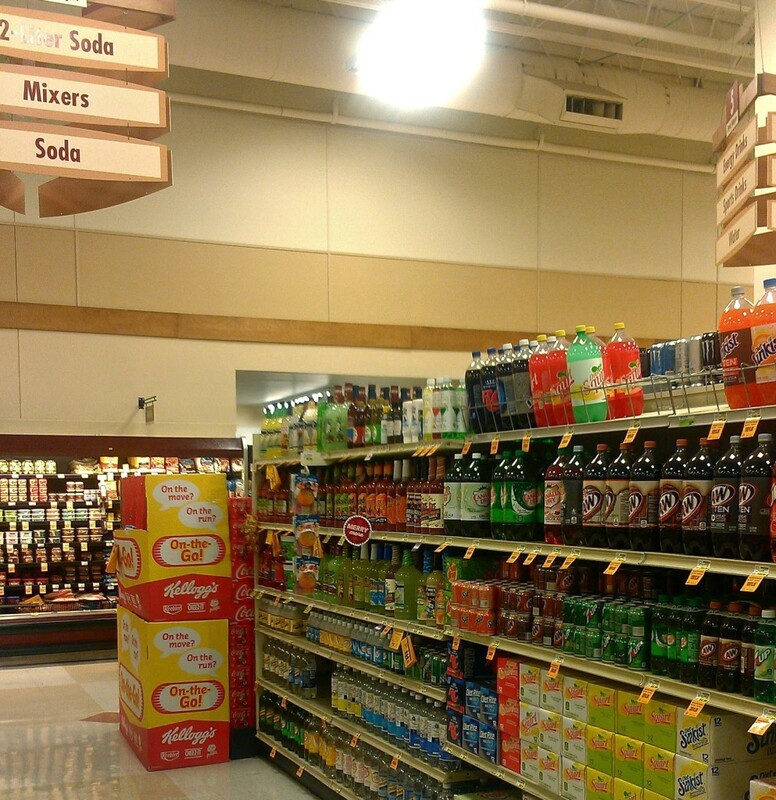 The #DrinkTEN products can be found at any Kroger store (I love Fred Meyer!) in the drink aisle. What’s your go-to cocktail to make at home? This looks delicious! I might have to try that this weekend.